It's an early status report but I'm sure some of you are as interested as I am in seeing how well Unicorn Training did on its opening weekend. It's doing better than I expected and my inner flame burns brighter than ever knowing that I have a real chance at being a successful indie developer! I don't see me making enough for a Macbook just yet, but I can expect my first ever payment from Google to come in next month! Catch some rankings and numbers to satisfy your curiosity below the break. I don't think I ever experienced chills like the ones I got when I woke up Sunday morning and opened Google Play to find my ranking data when checking the RPGs section of the store. Number 14 in top paid RPGs (now sitting at 12), number 2 in top new RPGs, the demo reached number 36 in top free RPGs, and both games listed as numbers 3 and 4 in what's trending (for RPGs). 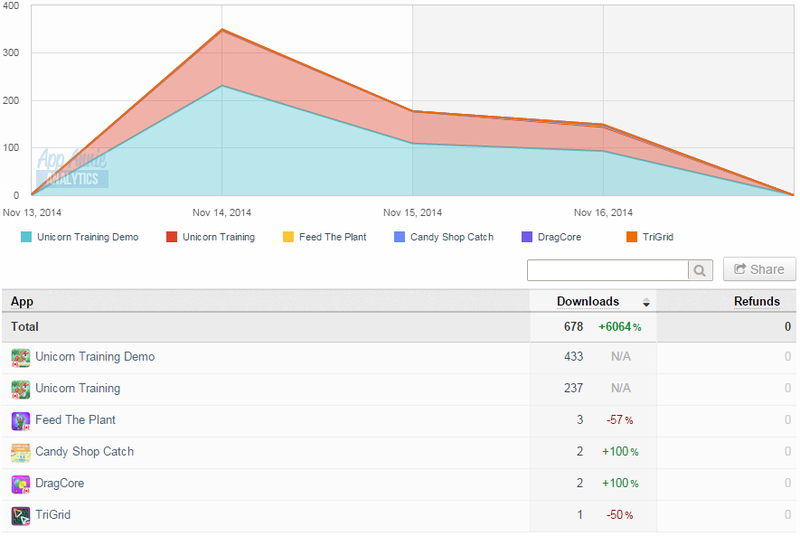 That's when I realized my goal of at least 200 downloads wasn't unrealistic. Seeing my game in front of Final Fantasy titles was the moment. I finally feel like a professional gamedev. I expected it to be my most popular game yet, but I really wasn't expecting such a good reception at launch. I was overestimating the number people who'd be upset about an amateur charging a whole dollar for a game he spent a year on. I couldn't have asked for a better start. I told my parents (as well as my girlfriend's family) and I finally feel like I have solid proof that I'm not crazy. I really can make a career out of this if I keep improving. 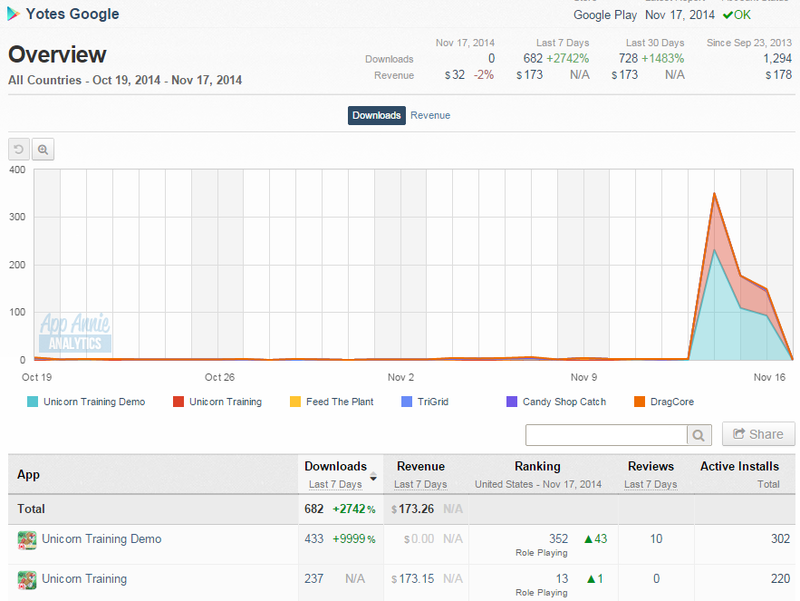 Take a look at these numbers for Google Play and Amazon. At this rate I'm going to get my very first bank deposit! I'm officially making money off my video games! It's a lot harder to get featured on Amazon. 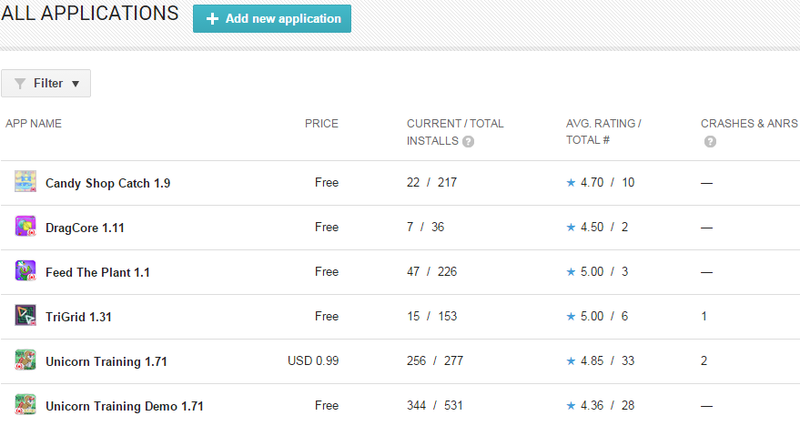 The data is always behind and the current numbers are visible on your developer pages before being put on App Annie. When I check on Google Play throughout the day I see how many active installs and reviews I have. It updates 7pm-8pm while App Annie updates the next day. I hope these numbers keep up through the holiday months (December and January), so I can finally have a baseline to see if my career plan of having a game out every November is a good idea. Only time will tell. 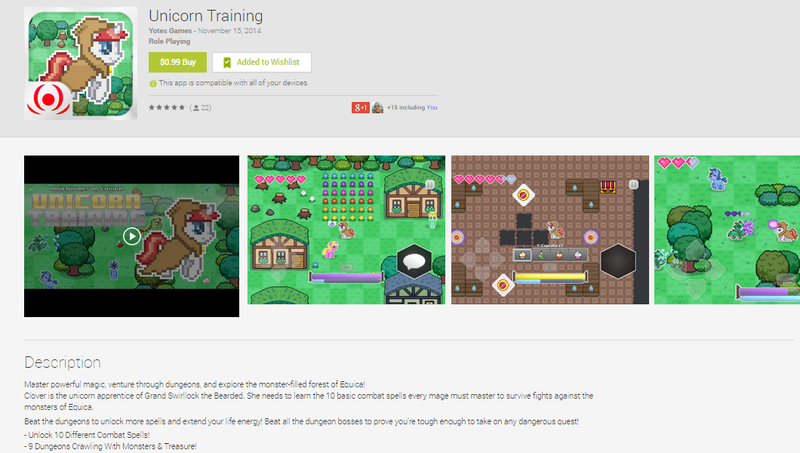 I hope to see even more success once Unicorn Training is on other android app stores I upload to. I really want it on as many platforms as I can find, but android is the only option available right now because of it's low cost of entry. The only reason it's not on Windows Phone is because Unity requires Windows 8 to build the file and I'm using Windows 7. Even though the reach will be contained I think the game will still serve it's purpose in getting my name out there and introducing people to what I want to bring to mobile platforms. 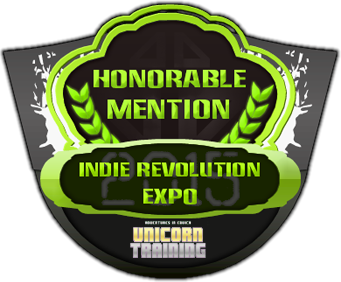 You can find Unicorn Training here or play the Free Demo if you haven't tried it yet. Unicorn Training is Available NOW!! Unicorn Training Is In Beta!